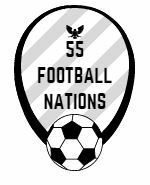 55 Football Nations made an appearance on BBC One’s Football Focus – live from the Vitality stadium in Bournemouth. Presenter Dan Walker led the questioning and long-term pundit Mark Lawrenson showed interest in the mechanics of 55FN. Journey through Europe provides Lawro with some insight into how this mega-trip is planned. And photos from Bournemouth v Everton and my Scotland and Wales matches are also now available.